PRICE REDUCED! 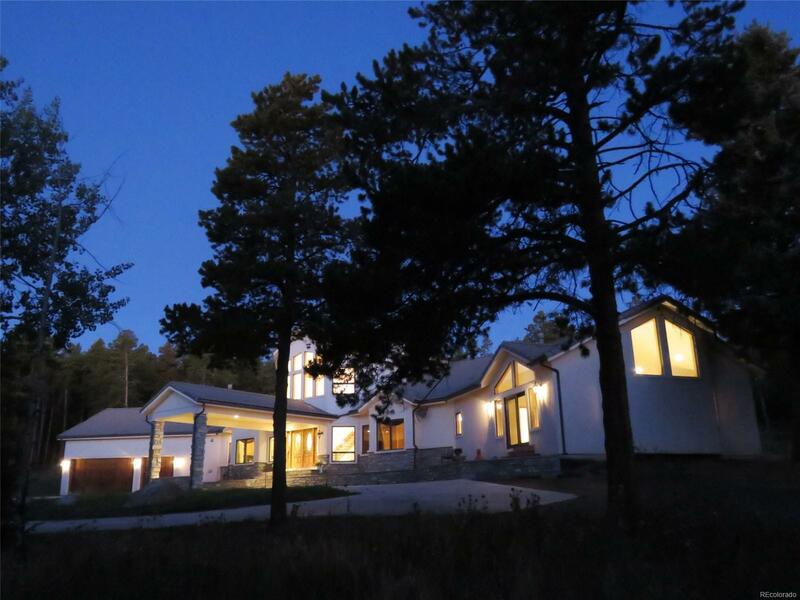 You will love this incredible custom home situated on 10 sunny acres just minutes from Highway 285. Main-level living features spectacular master bedroom with 5-piece master bath, 2 person steam shower, jet action tub. Roomy kitchen has granite counter tops, cook top stove, double oven, maple cabinetry. 2nd level skylight spills tons of natural light into the open floor plan. Stunning dining room walks out to back patio for indoor or outdoor dining options. End your day at the top of the twin staircases where the entertainment/media rooms come complete with wet bar and gorgeous views.